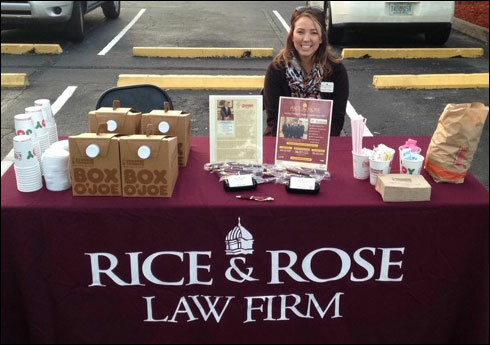 The Rice & Rose Law Firm was represented by Jennifer Triplett at the Port Orange Family YMCA 5K race this past weekend on January 18, 2015. 260 participants crossed the finish line at Aunt Catfish’s Restaurant at the west end of the Dunlawton Bridge in Port Orange, Florida. Rice & Rose is a major sponsor of the Halifax Health/Volusia Flagler YMCA Live Your Life Well Race Series. The next race in the series is the Love Your Heart 5K in Deltona, Florida on February 14, 2015.